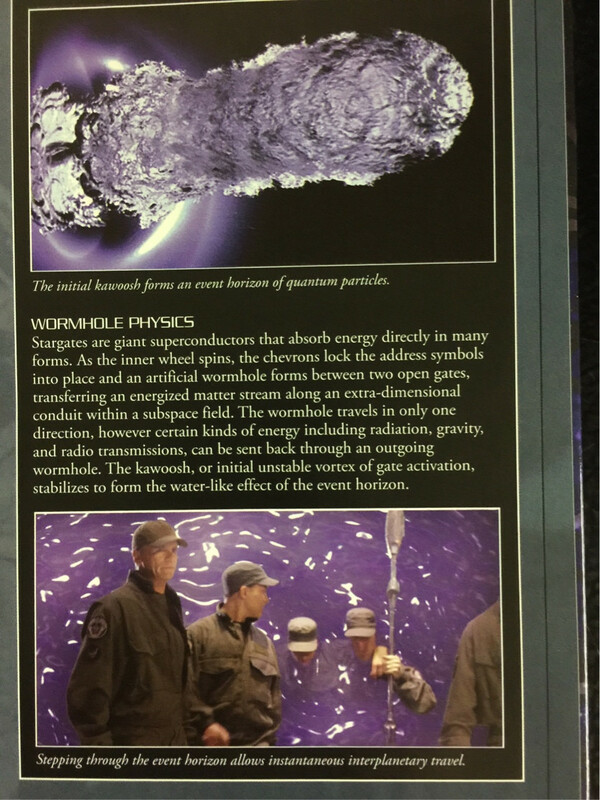 In the Stargate universe, the vortex from the naqahdah disc which occurs once an address is correctly dialed emits a fluid-like substance. Is this substance an ionized radiation or a chemical exposed to the breathable oxygen? Neither. The unstable vortex is not chemical or elemental matter, it's explicitly described as energy. It is also not ionized radiation as we know it, as a source of ionized radiation would require protection for anyone near by. If the vortex was ionized radiation every gate team standing in front of it would experience high levels of radiation Exposure and poisoning on every gate event. No technical or scientific details on what kind of energy the vortex is was provided. All we really know is that it is highly destructive to matter and energy in its path. Per the Ultimate Visual Guide, it is...unspecified. The "liquid" is an event horizon of an "energized matter stream". Could it be radiated? Perhaps, but given there are no specific precautions taken when approaching it (and that it is designed to transport humanoids) it is safe to assume it is not unsafe levels of radiations. Is it ionized? Perhaps, but this is not addressed. Specifically, they are simply identified as "quantum particles". Techno-babble I believe. Was Edge of Tomorrow deliberately released around D-Day? In Fargo, why is the 180° rule broken during this scene? Why does Travis Bickle attempt the assassination? Is there a drug problem within Bob's Burgers?